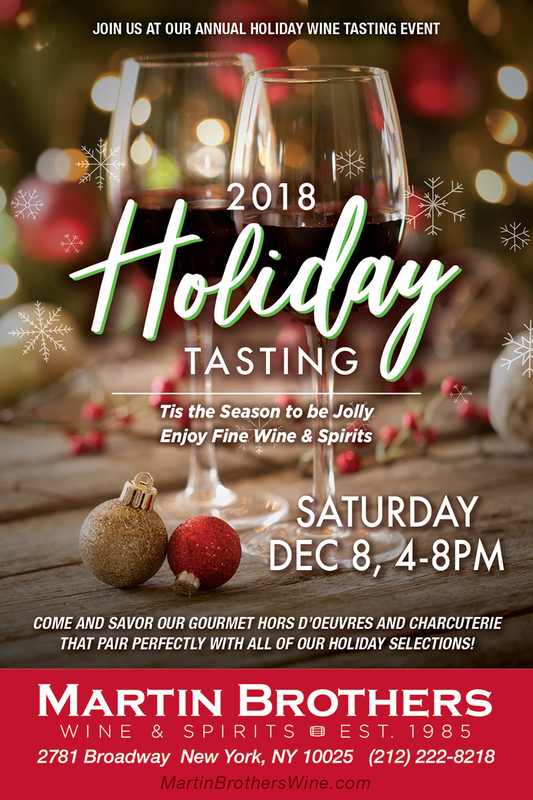 Don’t forget – our winter wine tasting event is coming up soon! With all the hustle of the holidays, take a moment to experience the joy of the season with gourmet hors d’oeuvres and fine wines. Bring your friends, families, and loved ones as an early treat and the perfect way to start off your December. Event time is Saturday, Dec. 8th from 4 – 8PM at 2781 Broadway, New York, NY 10025. If you have further questions, give us a call at (212) 222-8218. We can’t wait to see you there!